We hand-pick the best eco-friendly, ethical and natural products from across the globe each season, so by receiving our fully-recyclable print catalogue, you'll be at the forefront of the latest in eco-friendly fashion, homewares and gifts. If you'd like to receive a copy of our mail order catalogue, please complete the following form. 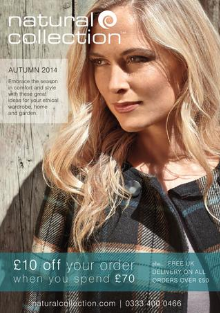 Please note, catalogues can only be shipped to a UK delivery address.